About us - Mamaland Safaris - Enter Uganda's Paradise now! Choose Mamaland Safaris for a Uganda Safari tailor-made to your wishes, time-frame and budget. 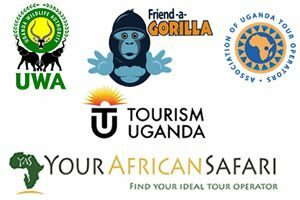 We are a leading local tours and travel company based in Kampala Uganda at the heart of East Africa and we offer tailor-made safaris. A Uganda safari with us can include game-drives on the savannas, bird-watching, chimps & gorilla trekking, community tourism, relaxation and much more. We can as well arrange combination safaris where Uganda is combined with Tanzania, Kenya or Rwanda. Mamaland Safaris was born in 2005 after shorter trips around Kampala’s tourist attractions way back in the 1990’s . 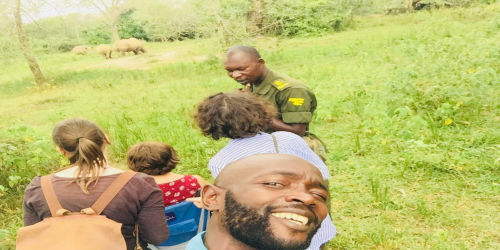 Since then due to increased demand from our adventurous travelers, we widened our trips outside Kampala, especially to Uganda’s National Parks with game viewing and Gorilla trekking, but also combination safaris including our East African neighbours. Ever since the start, our aim has been to make your trip memorable. If you are thinking about travelling with Mamaland Safaris don’t hesitate to write a proposal to us and we design an itinerary based on your wishes. We are members of AUTO and represented on SafariBookings.com. 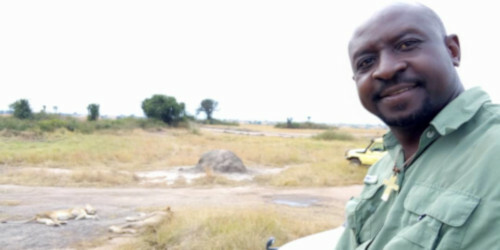 Tony Byarugaba is the managing director as well as founder and owner of Mamaland Safaris. Tony is born and raised in Kampala and has since 2005 worked in the travel industry. He has experience of making itineraries and guiding trips through all of East Africa. 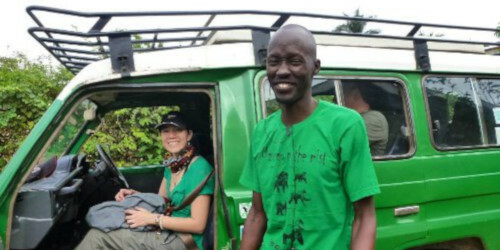 He believes in the conservation of Uganda’s beautiful nature as a trained naturalist and has a special interest in birds. 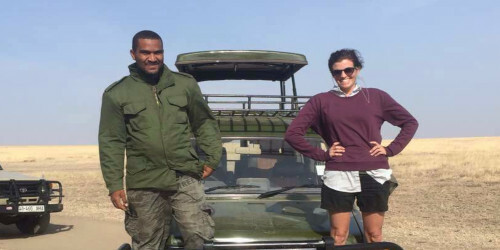 Tony’s great character with kids on safari makes him a complete guide with his favorite animal being the Jackson hartebeest and favorite bird being the Egyptian plover. Anna Trägårdh is Tony’s wife and our administrator. 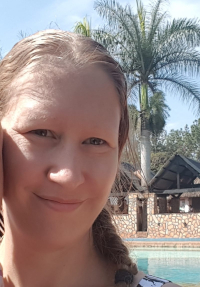 From Sweden but now living in Uganda. The first visit to Uganda was in 2011 and what surprised her was how green and beautiful it is, truly deserving the nickname “the Pearl of Africa”. Edrisa Kakembo is the one who most likely will answer your mail being our tour consultant. 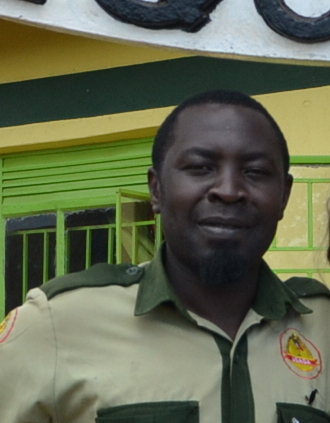 With excellent knowledge about Uganda and the tourism industry here he will help you plan the safari of your dreams! 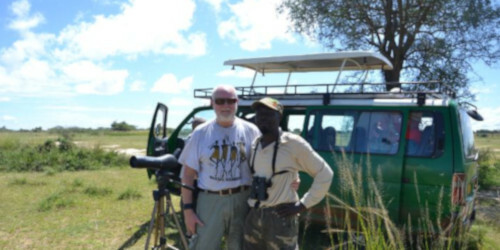 Our guides – To make your safari unforgettable Tony has a team of experienced & friendly guides. All our guides are fluent in English, knowledgeable about the parks and safe drivers. If looking for accommodation around Queen Elizabeth National Park our lodge Pumba Safari Cottages is a great option. We offer a relaxed stay with endless views. By Murchison Falls National Park we have the lodge Twiga Tales Lodge, that offers a comfortable stay in a bush camp style setting close to the park entrance. In the southern Ishasha sector of Queen Elizabeth National Park we offer luxurious accommodtion at our Topi Lodge. For luxury safaris please take a look at our site Luxury Safaris Uganda.